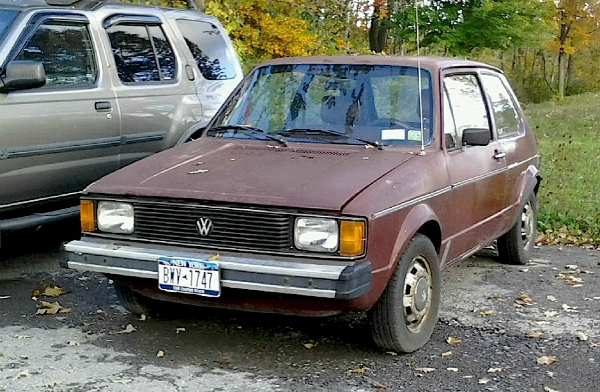 The successor to the venerable Beetle was this 1984 VW Rabbit, introduced to the rest of the world as the Golf ten years earlier. Not sure why VW thought they had to change the name for the North American market because, as we all know, eventually it became Golf here also. Well, except for that short spell beginning in 2006 when they switched back to the Rabbit moniker (and then back to Golf again). I wonder if any heads rolled over that decision. Saw this brown example a few weeks ago in Youngstown. Jim Corbran, RRofWNY …and check out our Facebook page: Non-American Classic Cars The post RealRides of WNY appeared first on Buffalo Cars.